Are not many of us. Apologies for waiting so long to post. RL threw a curve ball the last few weeks and I haven't had time to get back to the bench. @Ding, thanks for the meme! @Tesral, yes, many of us are! Here are some shots I took before I had to stop. 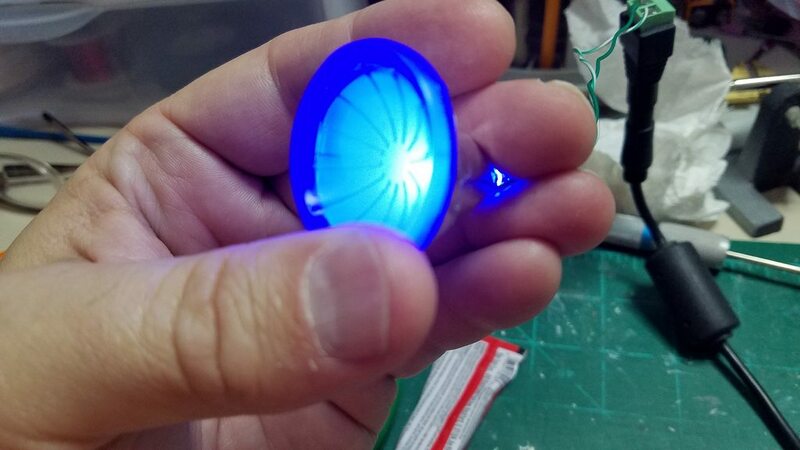 use four of the blue LEDs to help with the distribution of light. barrier between the two walls. 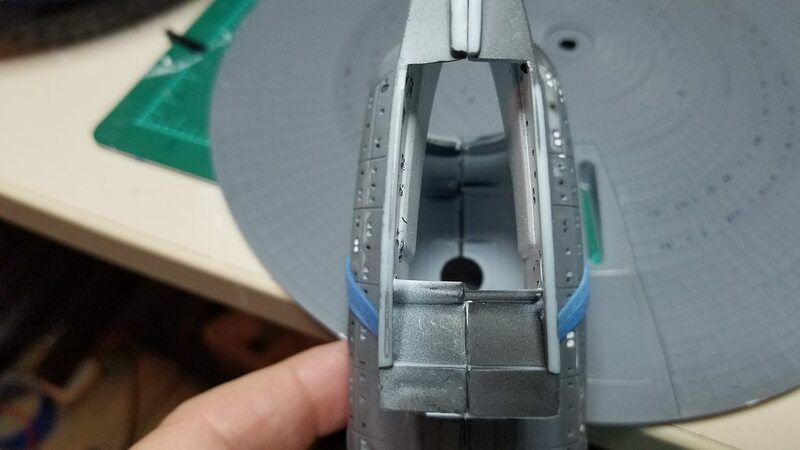 For grins and giggles, I dry fitted the Bussard Collector to the Nacelle. It really diffusses the light which will negate a detail I saw on screen and I had planned to add. I hate to waste the DLM part for the detail...hummm...may have to think that one through a bit. for a while. I will lurk and comment and post more when I can! Till then, Thanks for looking and commenting! Steady as she goes, Mr. Castillo! Very nice indeed. I happen to like that model a lot. I don't have one only because I got out of 1/1400. 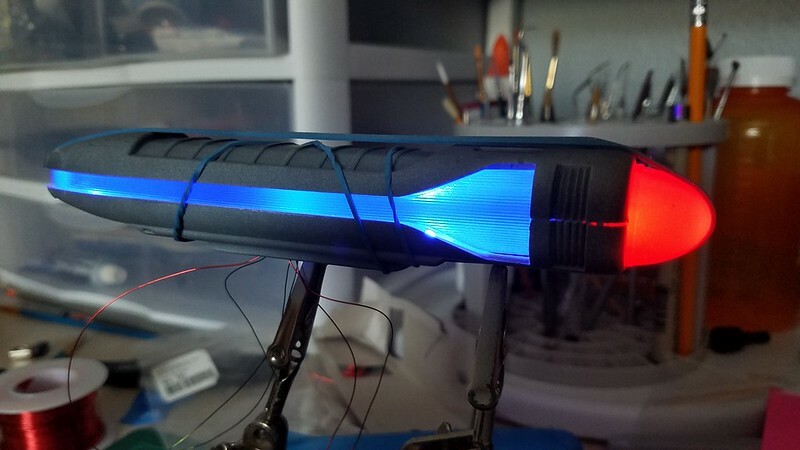 Your nacelle lighting is coming along well but, I agree, you need to add another LED (or two) near the aft end to get rid of that dead spot. does that mean then that this is a color-change bussard? Didn't mean to leave you out! I tried to look up what a mMED or MED was but couldn't find anything about it. Maybe you can explain? The different colored Bussard Collectors, similar to the TOS effect, would be a VERY interesting variation on this ship! Good to see you again. I just restarted a build after a 2 year break. I too got the TennaControl board for the Refit Nav/Strobe board. I must say I really do like it, easy to get everything like it's supposed to go. 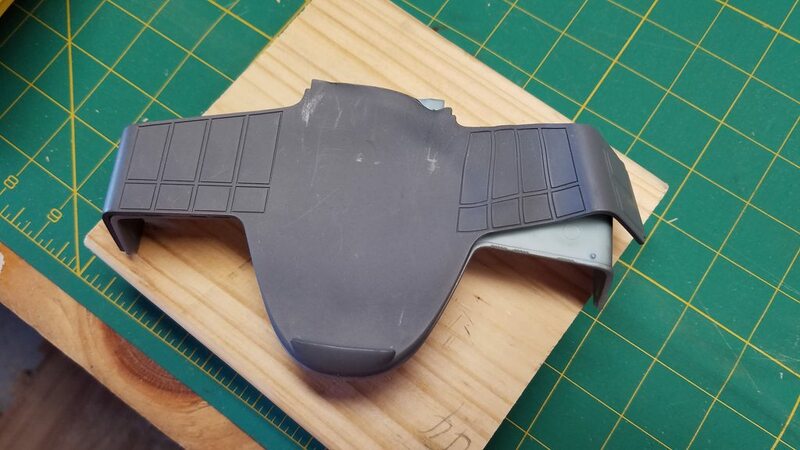 Right now working on the 1/537 Refit (hard kit, almost gave up a couple of times), and the 18" TOS. On the shelves got the 1/500 into darkness Enterprise and the 1/1400 Enterprise D (Non Clear). Your "C" is looking great, doing a fantastic job!!!! Thanks for the kind words, Kevin! KevinHoggard wrote: Right now working on the 1/537 Refit (hard kit, almost gave up a couple of times), and the 18" TOS. On the shelves got the 1/500 into darkness Enterprise and the 1/1400 Enterprise D (Non Clear). I would love to see the builds! Do you have them here on AST? Lemme know! 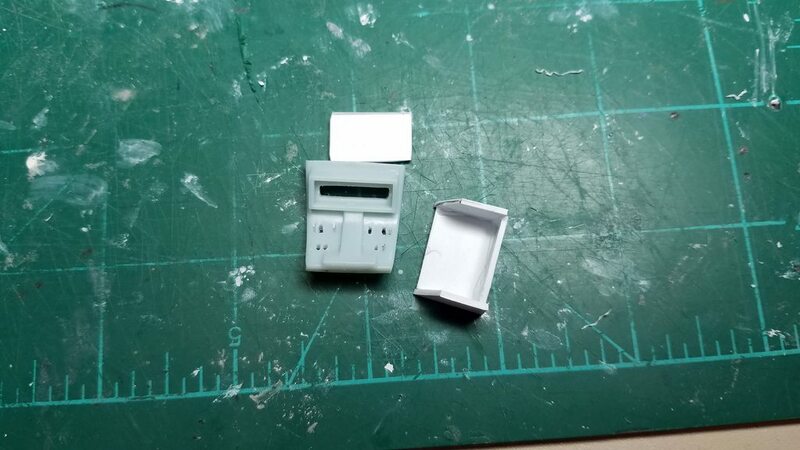 I did what, I hope, every modeler does only once - I took a shortcut. 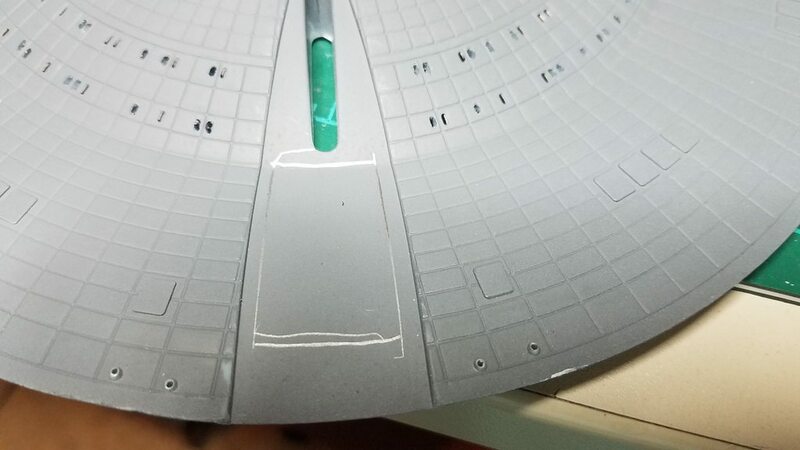 The nacelle supports were warped and not straight. I needed to heat them up and get them into true before I began assembly. 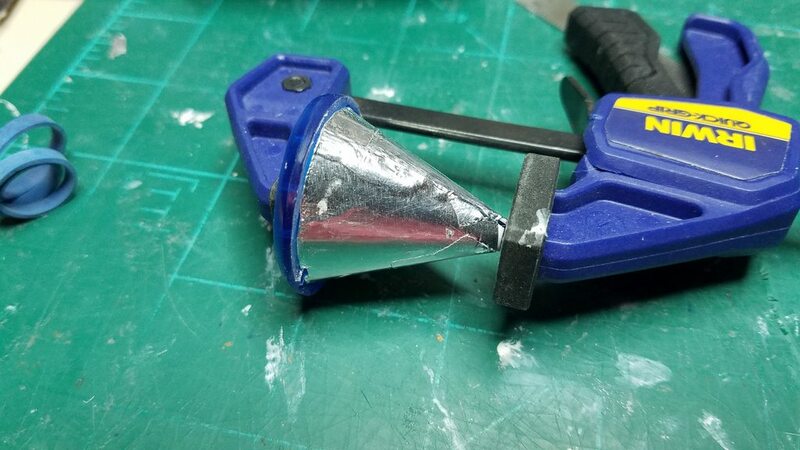 Thought I could control a heat gun rather than put it in the oven. Farglecarb! So, I asked the Admiral if I could fund some replacement parts and received funding approval. The parts order should arrive today! Yeay! 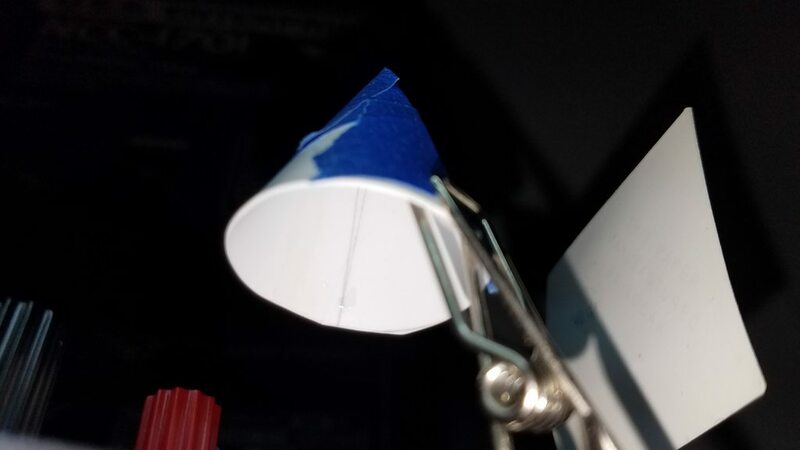 to help diffuse the LED cone and spread it out over the Dish. 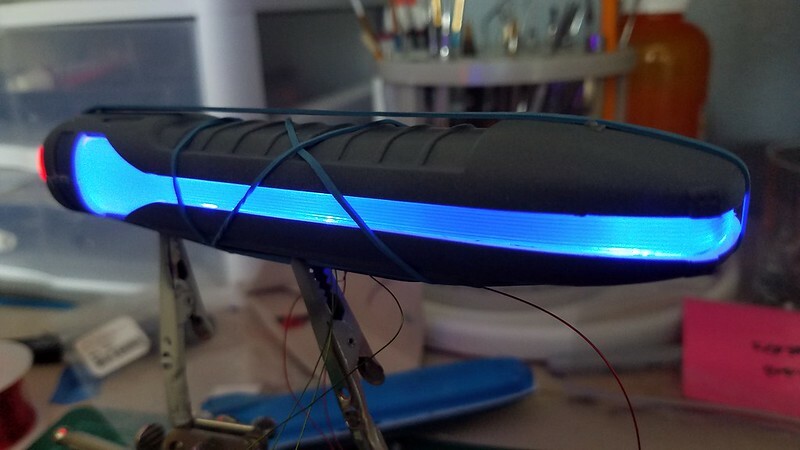 The light test looks great, IHMO. 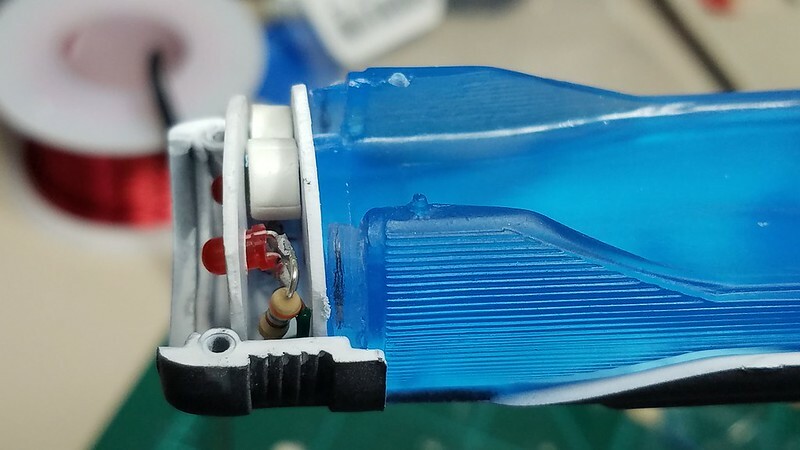 So, I will replace the wires I have with some connectors so I can glue the peice in and quickly connect the part to power. 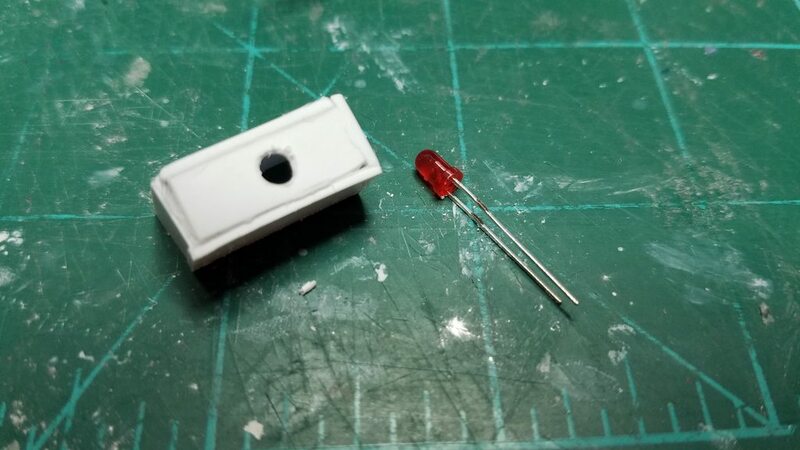 I also worked on the Impulse Engine light box. I had to drill out the windows and then build the box to fit against the curve of the part. 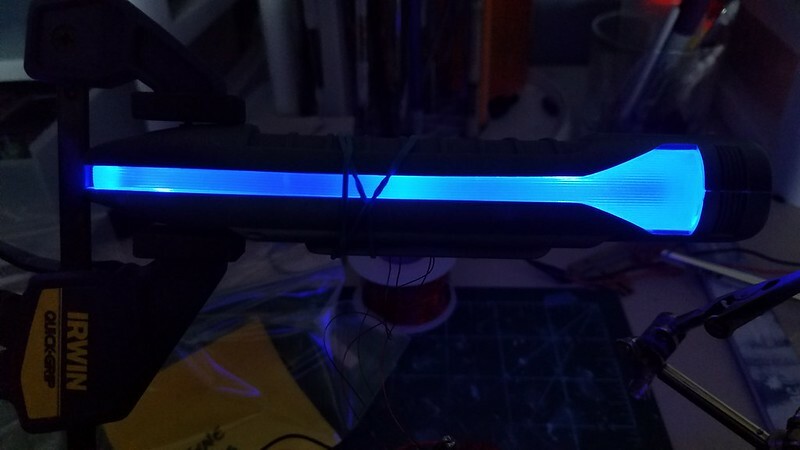 If it all works out, I should have a nice glow there, too! 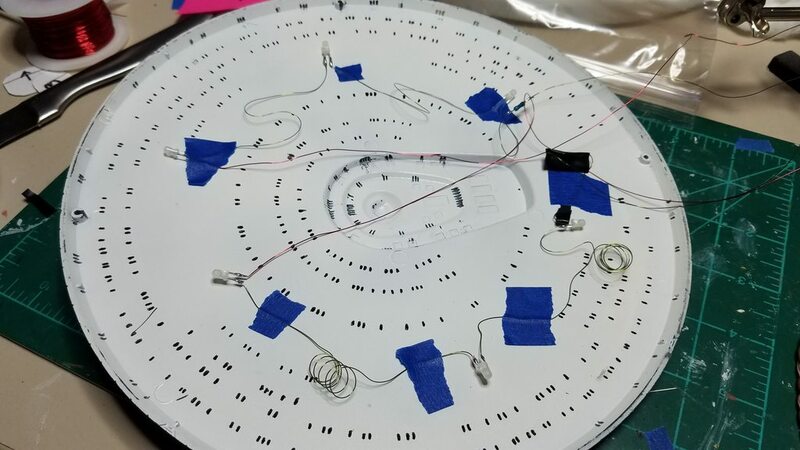 I also built and tested the saucer lights. 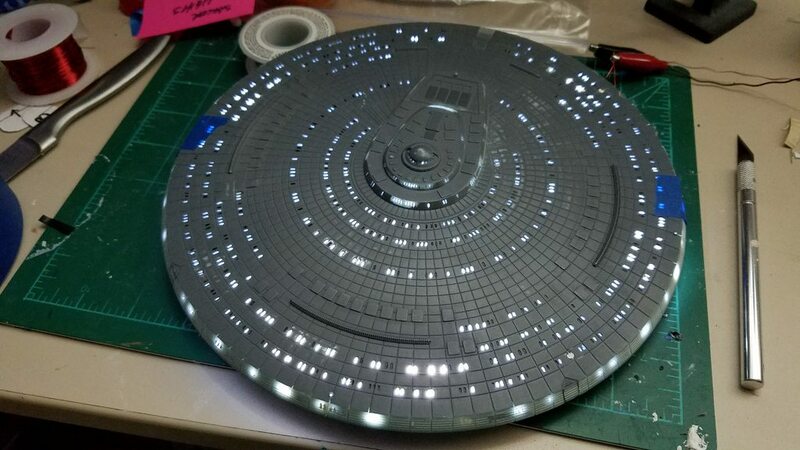 While I think the lights are pretty even in the saucer, the bridge and B/C deck look a little dark. What do you think? Thanks, as always, for reading and commenting! Your feedback is greatly appreciated! "Gentlemen, may the wind ever be at our backs! Stations, please." Last edited by MSgtUSAFRet on Tue Mar 27, 2018 2:07 pm, edited 1 time in total.